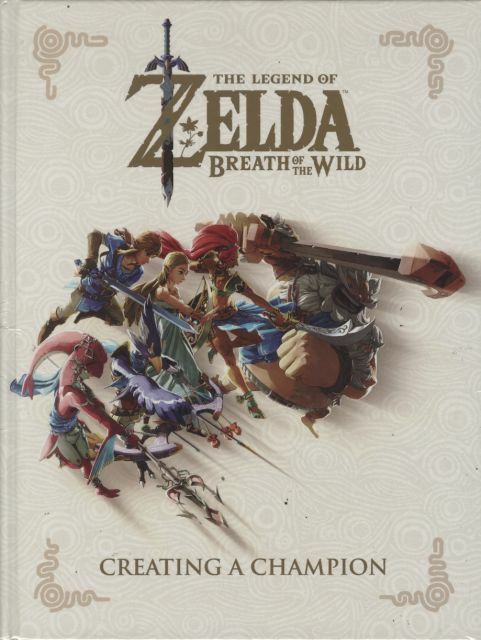 This oversized hardcover is the ultimate companion to the award-winning video game The Legend of Zelda: Breath of the Wild and includes material from both of its DLC packs. This book features nearly fifty pages of sketches and official illustrations from Takumi Wada, two-hundred and ninety-six pages of design artwork and commentary about the making of the game from the creators, a fifty-five-page historical section that divulges the history of Hyrule as it is known in-game, and interviews with key members of the development team--Hidemaro Fujibayashi, Satoru Takizawa, Takumi Wada, and Eiji Aonuma. Witness the making of a champion!